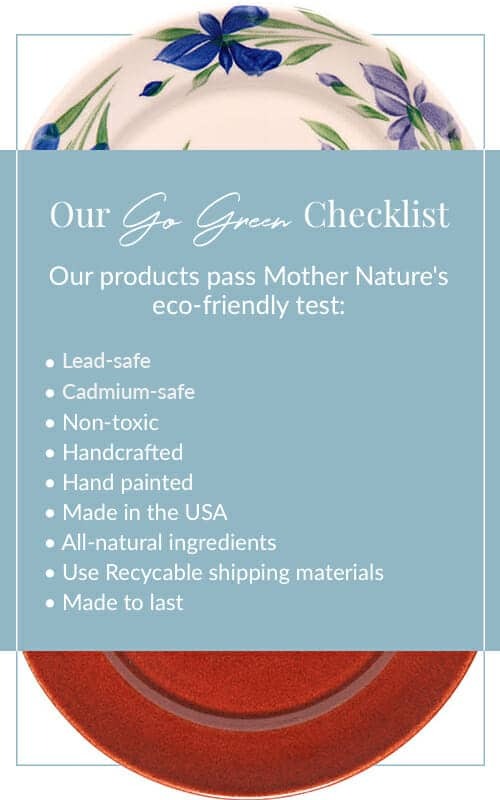 Lead-safe, Eco-friendly and made in the USA—We Want to Tell You All About it! The best times happen when family and friends gather around the dinner table. It is here that memories are shared like the dishes being passed around. We know how precious these moments are and the role ceramic dinnerware can play in you and your loved ones lives. Therefore, we believe that unsafe, toxic dinnerware shouldn’t crash the party. Unfortunately, that’s not always the case. One of the biggest concerns facing the ceramic dishware industry is the inclusion of lead through leaded glazes, clay and paint. Currently, the Food and Drug Administration allows “lead-safe” dishware, or dishware that has small traces of lead, to be regulated and sold in the United States. However, those ceramics can still be leaching lead into food through microwaving, acidic foods or drinks or through hairline cracks—which can pose risks such as lead poisoning. We believe that excessive lead in pottery is an unsustainable way of life. Therefore, we strive to make the safest non-toxic dinnerware possible—because your family’s well being matters. Additionally, our non-toxic dishes are California Proposition 65 compliant, a proposition that puts ceramic dinnerware safety first by requiring all products containing traces of lead to be marked accordingly. 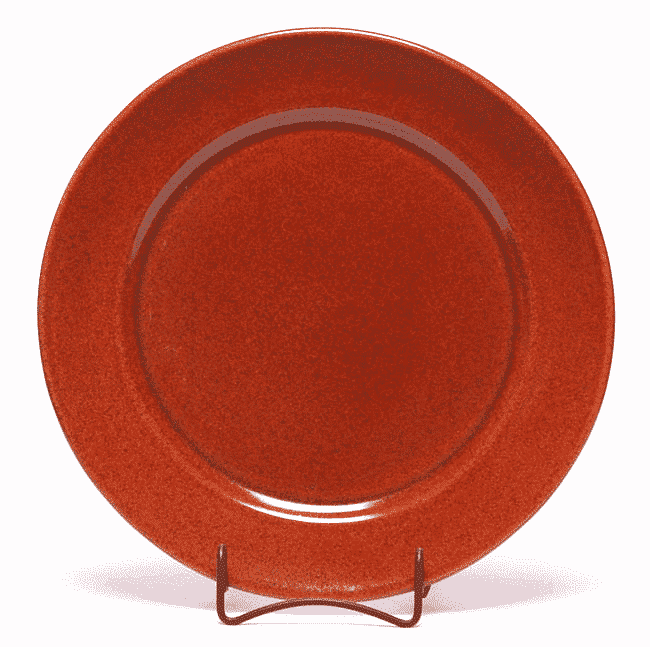 Best of all, our ceramic dinnerware is made in the USA. Since 1977, our Virginia-based company has been creating beautiful, artistically-crafted dinnerware and serveware that is inspired by traditional, early-American pottery. Part of our commitment to sustainable pottery includes maintaining green practices. After all, mother earth is what inspires some of our picture-esque pottery collections—it’s our way of saying thank you! Here are the 5 rules we’ve established for us to keep our products eco-friendly! We’re locally minded as all of our products, including our popular, non-toxic ceramic dinnerware sets, are made in the USA. Further, you won’t find any automatic machines (which are unkind to mother earth) that mass produce large quantities of pottery. Instead, you’ll find expert potters in our pottery studio in Bedford, Virginia who handcraft and hand paint each piece of pottery. We keep our packing materials green as well. When you receive a package from Emerson Creek Pottery, you’ll notice that your order is packed with recycled paper materials. We choose to skip out on the environmentally-harmful peanuts or bubble wrap! We also utilize UPS’ carbon-neutral program for all our web shipment orders. Additionally, our packing boxes are made up of 95% recycled fibers, and can be recycled again and again! We save on paper so that we can do our part in preserving American forests. Therefore, we only use recycled paper for packaging purposes and never send out mass-mail printed catalogs (we only send them out upon customer request). Our products are made to last. We make long lasting products that are chip-resistant, dishwasher, microwave and oven-safe. 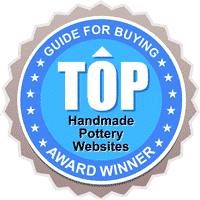 This way you can have high quality, beautiful ceramic pottery that can be passed down through the generations instead of being thrown away every few years due to poor quality. If there’s one thing we strive for, it is to make brilliant lead and cadmium-safe dinnerware, serveware and dishware in a variety of detailed designs and vibrant glazes. If you’re new to our product, we hope our pottery will have the honor of being apart of your family and home traditions. Get to know our pottery as well as the inspirations behind it. When we originally set out to create ceramic pottery, we used America’s colonial history to shape our pottery’s unique design. Taking inspiration from early 17th century Jamestown, we designed dinnerware and serveware that resembled the shape and color our early ancestors would have enjoyed and cherished. Our Copper Clay Collection mimics the deep red glaze of old world, rustic pottery. It also pays tribute to the iconic red clay native to Virginia. Our classic and heritage ceramic mugs echo the original shape of colonial drinkware. These lead-safe mugs are great addition to your tea or coffee mug collection. Plus, some are customizable, which is perfect for a gift! Our American Blue Collection is an ode to America’s pioneering spirit. This patriotic glaze is featured on a number of our popular products. Traditionally lead has been used to create vivid colors in pottery. 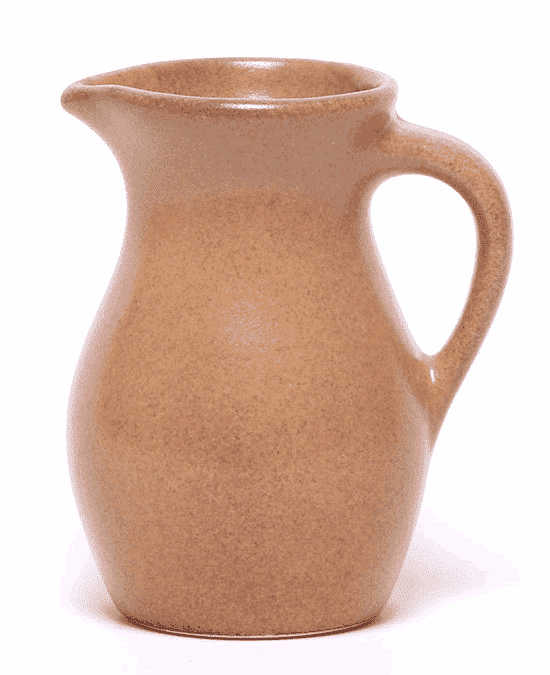 Yet, our all natural glazes still achieve a rich, brilliant color without lead leaching into your food. 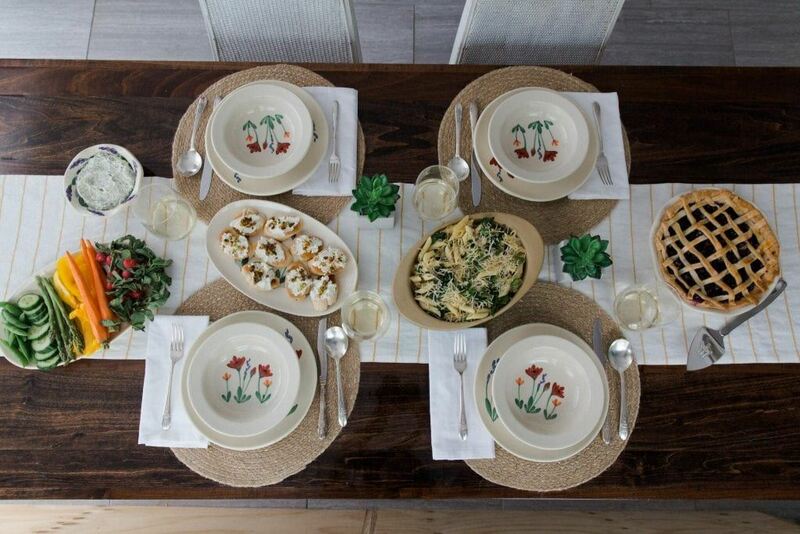 Our lead-safe dinnerware sets come in a variety of glazed tones so they match with your pre-set tablescape. Our Onyx Black glaze offers a touch of elegance to any event. They’re a perfect, lead-safe plate option for an upscale dinner party or for a romantic date night. Our Pearl White glaze will add an iridescent glow to your kitchen aesthetic. It shines when serving a colorful salad or freshly picked berries. Our Go Green Earthware is a minimalist dry glazed collection that serves as a green reminder for food conservation. This set is perfect for showing off your classic recipes featuring home grown herbs and veggies. One of the best parts about Virginia is the awe-striking nature throughout the commonwealth. We are fortunate to be located in Central Virginia, nestled between the Peaks of Otter and the Blue Ridge Mountains. Our designs look to capture these beautiful natural scenes we are treated to on a daily basis. Each design is intricately painted with a Japanese Sumi-e Brush so that we can get every detail just right. Our Summer Peaks collection is inspired by the historic Peaks of Otter. It’s the perfect collection for a summer cookout or serving up a light, summer dessert. Our Field of Iris collection features intricately hand painted blue and purple Irises which symbolize hope, faith and wisdom. This is also our signature flower and one of the original designs we first created. Use this beloved collection for your next afternoon tea or garden party. Our Dogwood collection is influenced by the gorgeous dogwood trees that blossom each spring throughout Virginia. It is a great, naturalistic collection for any nature lover. We hope you enjoy all of our non-toxic, lead-safe dishes and that they serve as a reminder for sustainable, earth-friendly practices.